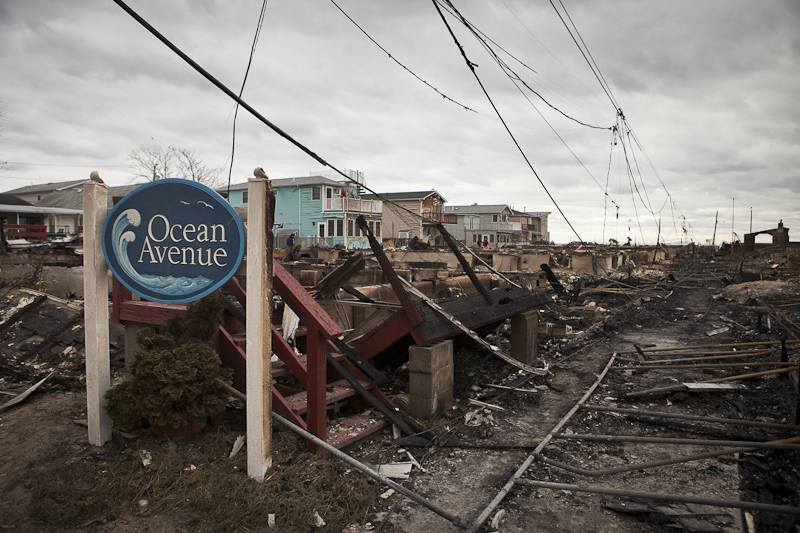 Destruction of Breezy Point. Two months ago. Added on December 30, 2012 by Annie Ling. 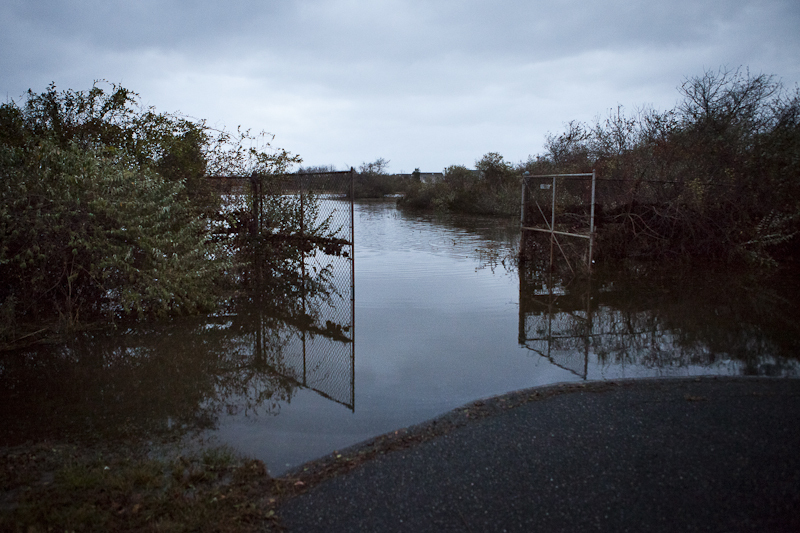 In the aftermath of Sandy, I found myself in the submerged gated community of Breezy Point, Queens. 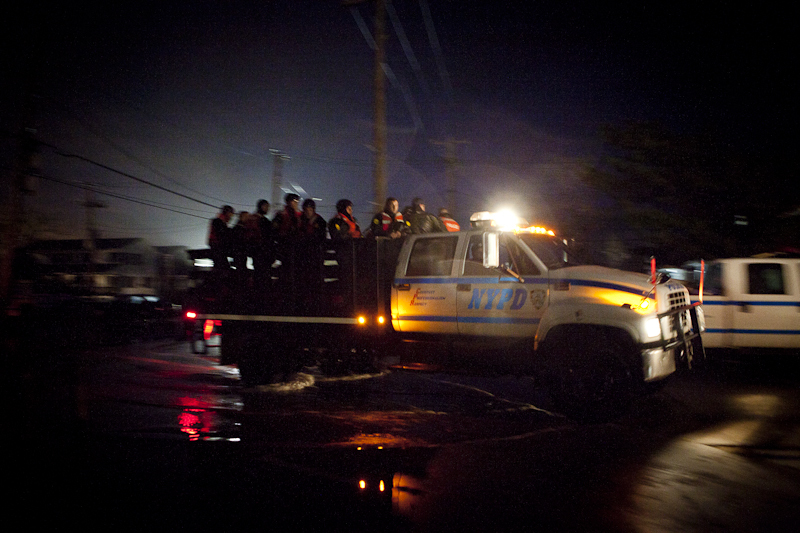 Bridges to the Rockaways were reopened Tuesday evening just before dark so rescue aid workers could be shuttled in and out. Silhouettes meandering in a twilight canopy, I was one of few figures cutting through the silence, wading past firetrucks and empty houses cloaked in the hazy red glow of flashing sirens. 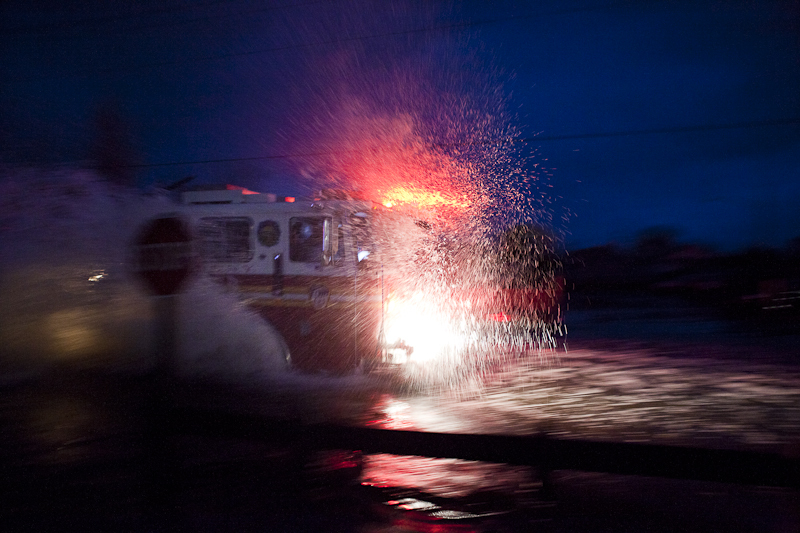 The next morning was a different scene as journalists and photographers flooded the area. The light of day exposed the extent of destruction for residents returning to assess varying levels of damage and property loss. An elderly woman sat for an hour on what was formerly her front yard, her chair facing the ashes of the house built over sixty years ago by her husband and son. 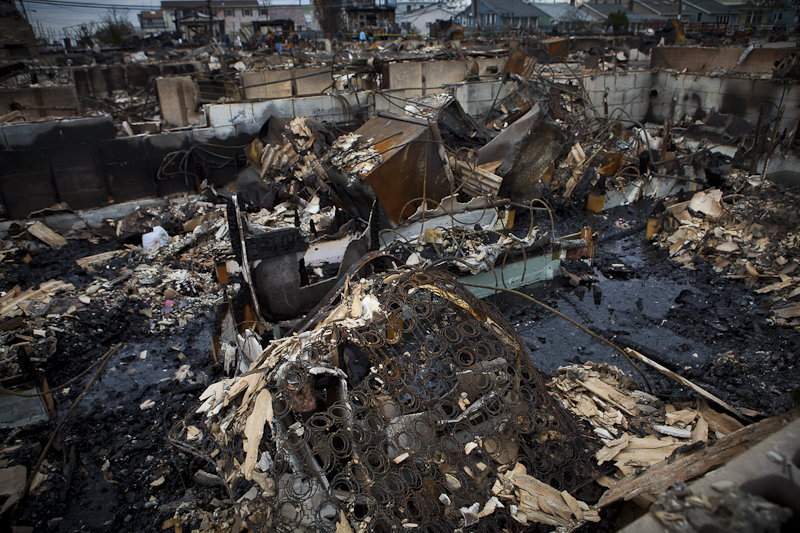 Her children and grandchildren picked through the charred remains of her home – one in a block of one-hundred-and-eleven destroyed by a furious fire after a major evacuation few days leading up to the storm. I jumped on the back of a truck ferrying locals along the coast of the peninsula. Between two shrubs, I caught a glimpse of a red-haired woman who later introduced herself as Grace. She was poised majestically in a fur coat, planted in a chair on her front porch with a bottle of yellow Gatorade in one hand and a cane in the other. The blank stare in her eyes told me she was in shock. 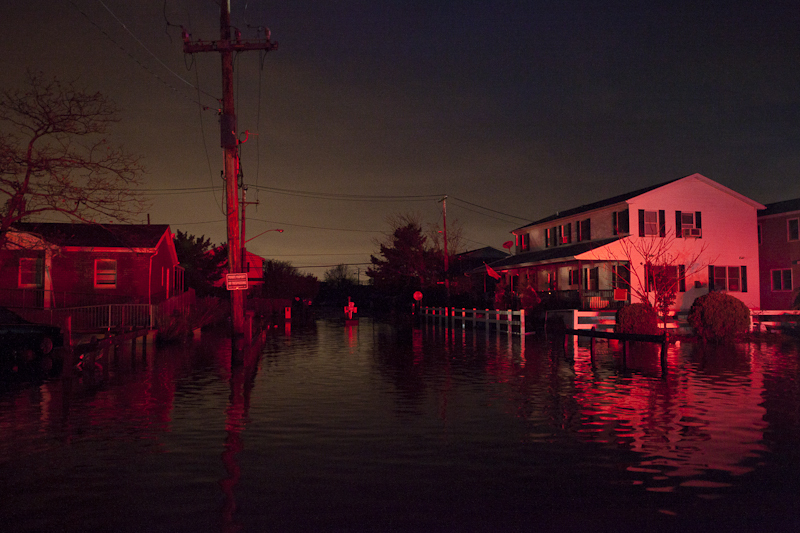 The night before when the hurricane hit, she was alone in her house without power while water rose up to her waist. "I just prayed, and prayed and prayed all night" said Grace, while she slept huddled on a portable hospital bed with her material possessions swimming around her. 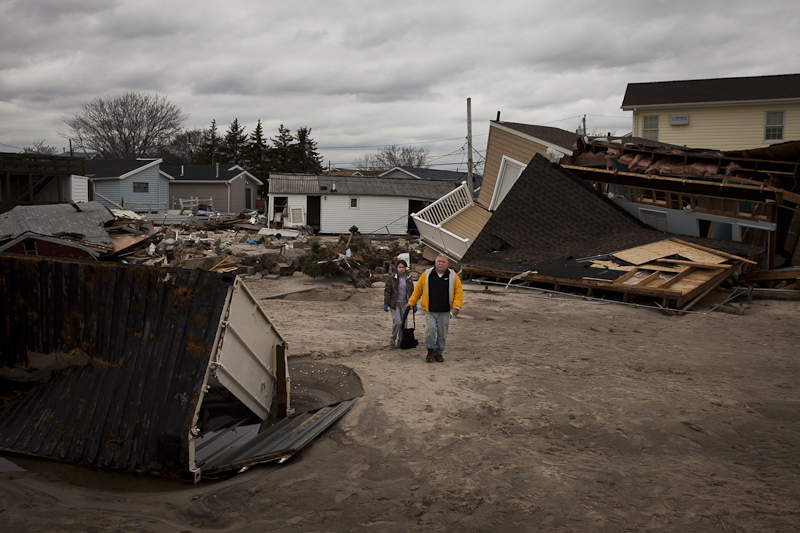 Here's a first glimpse of these humbling encounters in Breezy Point, one of many communities still recovering from the aftermath of Sandy. 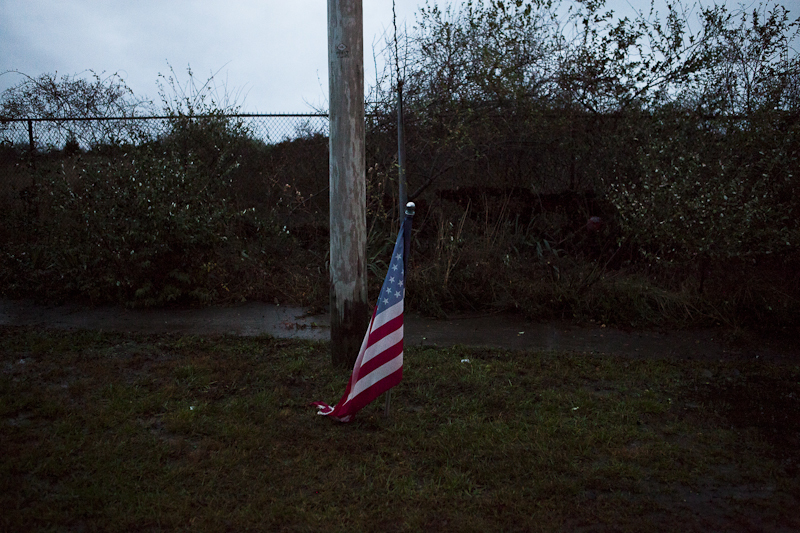 Below are select images for publication from a photo essay proposal to a magazine's December issue.